name, and to hold it in appropriate venues around the world. and many other related areas. 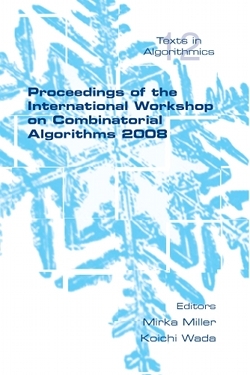 This is Volume 2 in the series of IWOCA proceedings.